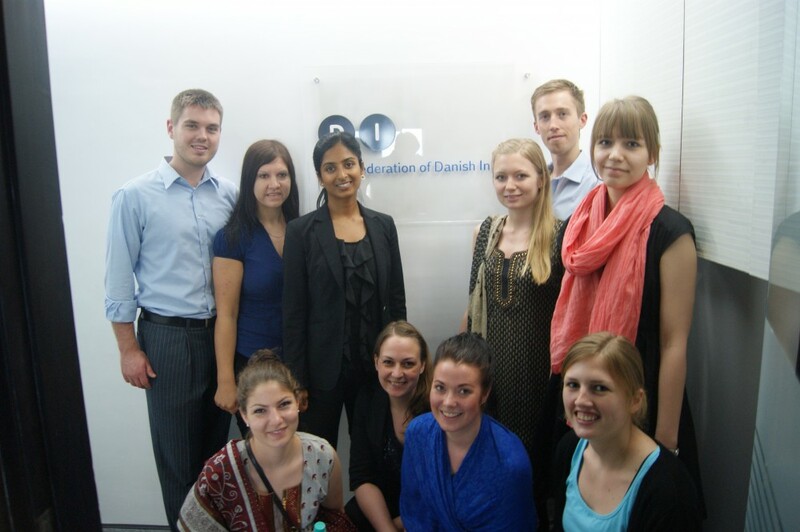 Thursday, we had a very nice meeting with Annemette Olesen, assistant director of The Confederation of Danish Industry in India. Their office is very well located near the airport, surrounded by many five star hotels. Annemette’s presentation gave us a lot of knowledge about India and told us about some of the things Danish companies need to be aware of if considering to start a business in India. With 28 states, India is a union but very diverse when considering languages, religions, clothing, food, customs, etc. India is in a way comparable to Europe but the density is extreme! For Danish companies, this means that they must be careful with the segmentation. The lower class consists of 300 million people who possibly can be divided in 20 segments. Some of the reasons for Danish companies to do business in India are that there has been growth in India since 2005 and English is the second language. On the other hand, the infrastructure is a mess and there are huge cultural differences. In India they trust the authorities why the Indian people aren’t as self-thinking and individualistic as in Denmark. They live at home with their family until they are 30 years old, so they would rather look to their father for guidance than speak their own mind. This means that they rarely bring anything to the table in a business. There are a lot of religions in India but it seems as a merely spiritual thing, why they don’t fight each other. Reincarnation and Karma is a big part of the Indian culture because of the many Hindus. Because of this, the Indian people strive to be as good as they can, doing what they shall in this life, so they will be higher up in the next. This can be a reason of a lower crime rate, but also stops the development. The Confederation of Danish Industry in India is catering for the Danish companies, so Annemette and Ejvind Vøgg distribute their time fifty/fifty in Denmark and India. Many of the larger C20 companies don’t need help to outsource, so DI is there for the smaller companies. In some cases Annemette or Ejvind gets an idea for a Danish company that should start doing business in India, and other times the Danish companies come to DI for help.